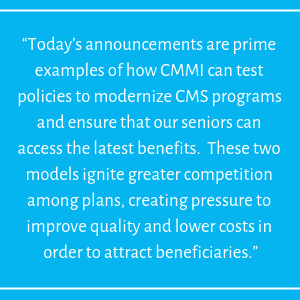 Today, the Centers for Medicare & Medicaid Services (CMS) released proposed changes that will take significant steps in continuing the agency’s efforts to maximize competition among Medicare Advantage and Part D plans. These proposals will increase plan choices and benefits and include important actions to address the opioid crisis. The proposed changes will expand opportunities for seniors to choose Medicare Advantage plans that for the first time are providing new supplemental benefits in 2019. Beginning with the 2019 plan year, Medicare Advantage plans can provide certain enrollees with access to different benefits and services. For the 2020 plan year and beyond, under statutory changes and the proposed guidance on which we are soliciting comment in today’s release, Medicare Advantage plans will have greater flexibility to offer chronically ill patients a broader range of supplemental benefits that are tailored to their specific needs, such as providing home-delivered meals or transportation for non-medical needs. The agency is also proposing new action to combat the nation’s opioid crisis. CMS is encouraging Medicare Advantage plans to take advantage of new flexibilities to offer targeted benefits and cost sharing reductions for patients with chronic pain or undergoing addiction treatment, and encouraging Part D plans to provide lower cost sharing for opioid-reversal agents. CMS’ overutilization policies have resulted in a 14 percent decrease in the share of Part D beneficiaries using opioids between 2010 and 2017 (36.3 percent to 31.3 percent), with the largest decrease from 2016 to 2017 (5 percent). 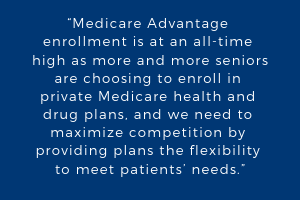 Medicare Advantage remains a popular choice among beneficiaries and has high satisfaction ratings. Average Medicare Advantage and Part D premiums are at their lowest in three years and plan choices have increased. Today’s proposals build in additional flexibilities to continue to increase choice and competition among Medicare health and drug plans. 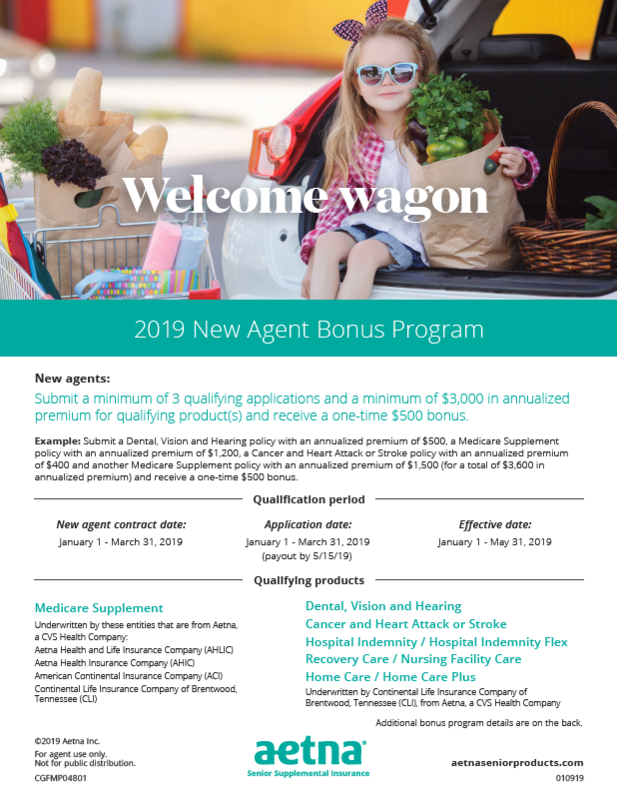 For a fact sheet on the 2020 Advance Notices (Part I and Part II) and the Draft Call Letter, please visit: https://www.cms.gov/newsroom/fact-sheets/2020-medicare-advantage-and-part-d-advance-notice-part-ii-and-draft-call-letter. CMS released Part I of the Advance Notice on December 20, 2018. All comments on the Advance Notices – including Part I – and Draft Call Letter must be submitted by March 1, 2019. The final 2020 Rate Announcement will be published by Monday, April 1, 2019. Part D made prescription drugs more affordable for Medicare beneficiaries, yet many beneficiaries continue to face high out-of-pocket costs for their medications. Part D enrollees not receiving low-income subsidies can expect to pay thousands of dollars OoP for a specialty tier drug in 2019: median annual OoP costs in 2019 for 28 of the 30 studied specialty tier drugs range from $2,622 for Zepatier (hepatitis C) to $16,551 for Idhifa (leukemia). Not all specialty tier drugs are covered by all Part D plans, unless they are in one of the six protected classes (such as cancer drugs). In 2019, annual out-of-pocket costs are 12% higher than in 2016, on average. 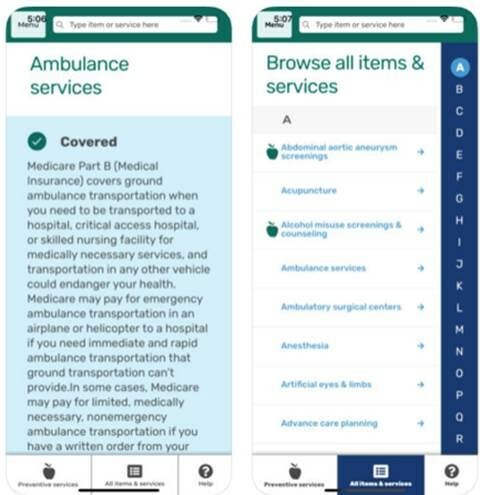 The CMS released a new app yesterday that describes what Medicare will cover, part of CMS’s plan to help beneficiaries decide between coverage options. The What's Covered app will let users see whether Medicare covers a specific item or service. The app delivers general cost, coverage and eligibility details for items and services covered by Part A and Part B. Search or browse to learn what’s covered and not covered; how and when to get covered benefits; and basic cost information. You can also get a list of covered preventive services and Medicare Advantage options. Opportunities for managed care plans abound in Medicare Advantage (MA), the popular, competitive program that seems to enjoy bipartisan support, experts tell AIS Health. 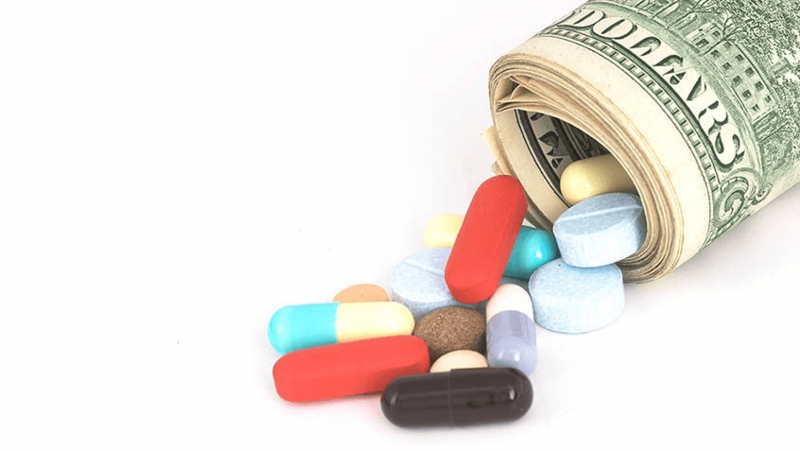 On the Medicare Part D side, much remains in play, Twiss notes. Due to industry consolidation and vertical integration, there won’t be independent PBMs, he says, and issues surrounding prescription drug rebates, Part D benefit design and drug pricing are all unresolved. The Medicare Advantage program, by including more flexibility on supplemental benefits, is allowing what Piper calls “enticement” benefits. In addition to fitness, dental, hearing and vision benefits, plans increasingly are offering a benefit to help members purchase over-the-counter health-related items, he says, and transportation to the doctor’s office is becoming more popular. Wood describes them as “sizzle” benefits that are “more marketing oriented than clinically oriented.” He says companies continue to assess how to deliver such benefits and develop solid 2020 bids containing them by the June deadline. This week, the Centers for Medicare & Medicaid Services (CMS) announced a new model to test changes to prescription drug payments and incentives. 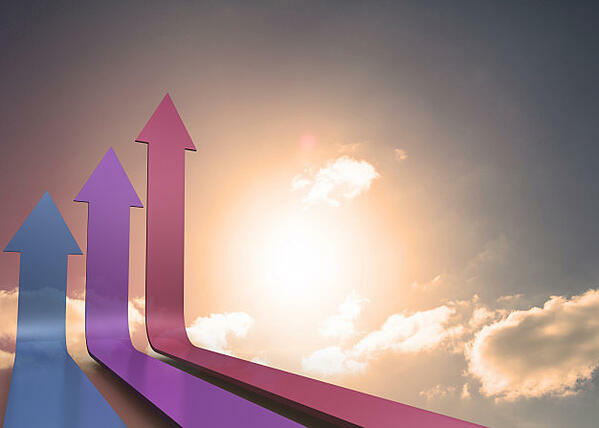 The CMS Center for Medicare and Medicaid Innovation (CMMI) will create a voluntary, five-year model in which Part D Plans (PDPs) and Medicare Advantage Prescription Drug Plans (MAPDs) may apply to participate. Last week, the Centers for Medicare & Medicaid Services (CMS)—the agency that oversees the Medicare program—announced that they finished the rollout of new Medicare cards to 61 million people with Medicare ahead of the original deadline of April, 2019. This means that all people with Medicare should now have Medicare cards that include a random Medicare Beneficiary Identifier (MBI) instead of a number based on their Social Security number. 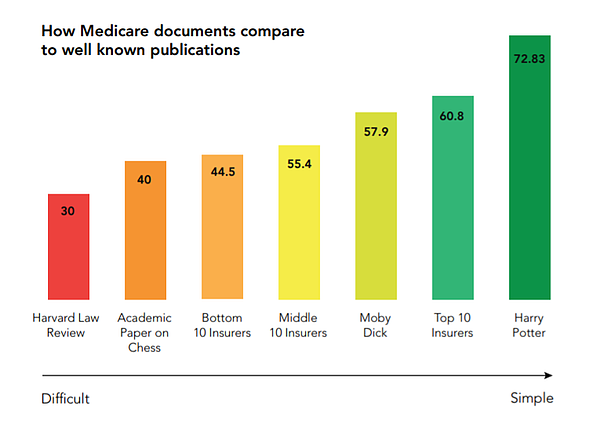 Most documents intended for Medicare and Medicare Advantage members do not meet accessibility standards for the average reader, according to a new report from VisibleThread, a text analysis company. More than 86 percent of payers offering Medicare products share information with beneficiaries that does not meet federal guidelines for clear, accessible communication as mandated by the Plain Writing Act of 2010. The law, which started to apply to health insurance providers in 2013, is intended to ensure that entities use plain language, defined as being at or below a 6th grade reading level, to share information with consumers. 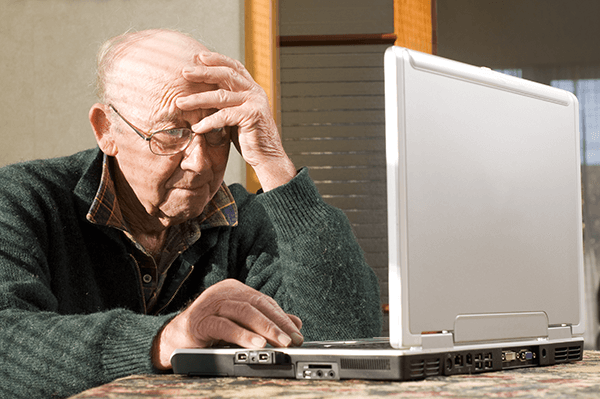 According to national statistics from 2003, more than half of Medicare-aged adults (aged 65 or older) are at a “basic” or “below basic” reading level, rendering them unable to understand the typical instructions for taking a prescription medication, for example. And more than one-third of the United States’ illiterate population is aged 65 or older, equating to 10.6 million elderly adults. Only 6 out of the 30 payers met recommended standards for plain language communications. Amerigroup, Kaiser Permanente, AARP, Emblem Health, Health Markets, and Aetna all managed to keep their readability scores at or below the optimal threshold. “Trust in the health insurance industry in the US is declining, according to the Edelman Trust Barometer,” says Fergal McGovern, CEO of VisibleThread. The bottom five companies – American National Insurance, State Farm Accolade, the US Government, High Mark, and Liberty Mutual – used twice as many run-on sentences as recommended. Improving communication with Medicare and Medicare Advantage beneficiaries has become a top priority for payers as more potential members age into the highly lucrative market. Most beneficiaries are not at all satisfied with the way their health plans share information, provide reminders, or engage them in chronic disease management tasks. Here are ten mistakes you can make that will cost your deal. Taking Shortcuts: Anything that you believe leads to a faster deal leads to a no deal. You can’t rush your buyer through the process because you are in a hurry or because you are behind on your number. Asking for Unearned Commitments: You can’t ask for commitments that you haven’t earned. If you haven’t created the value to deserve the next commitment, pressing for that commitment will shut your deal down. Poor Follow Up: Failing to follow up on the little commitments you make only proves you don’t care, that you aren’t detail-oriented, and you can’t be counted on. Deal-breaker. 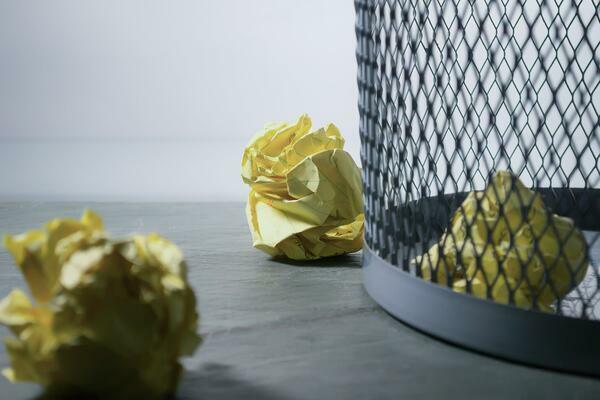 Selling Without Dissatisfaction: If you can’t find or create a compelling reason for your prospective client to change, you aren’t going to make a sale. No deal. Not Doing Discovery: If you don’t do the discovery work necessary to know exactly how to help your prospective client, you aren’t going to create or win an opportunity. It’s over. Not Building Consensus: You have to believe me here. You aren’t going to win with a single stakeholder. You will lose if you can’t help your client build consensus. No votes. Failing to Make the Ask: If you don’t ask for access to the people and information you need to win a deal, you will lose that deal. You cannot fear “the ask.” Not asking is the same as no. An Inability to Articulate Value: You must be able to articulate the value that you and your solution creates. If can’t tell your client how they will be made better, you have no deal. Failure to Provide Proof: Your prospect is going to want some proof that you are who you say you are, that you will execute. Maybe you need a fancy ROI calculator. Or maybe you need a reference. Zilch. Being Transactional: Treating your prospective client as a means to an end is the fastest way to alienate them. And it’s a surefire way to lose. Brick. One of the best processes in the industry - instant decision with no prescription or doctor information required. 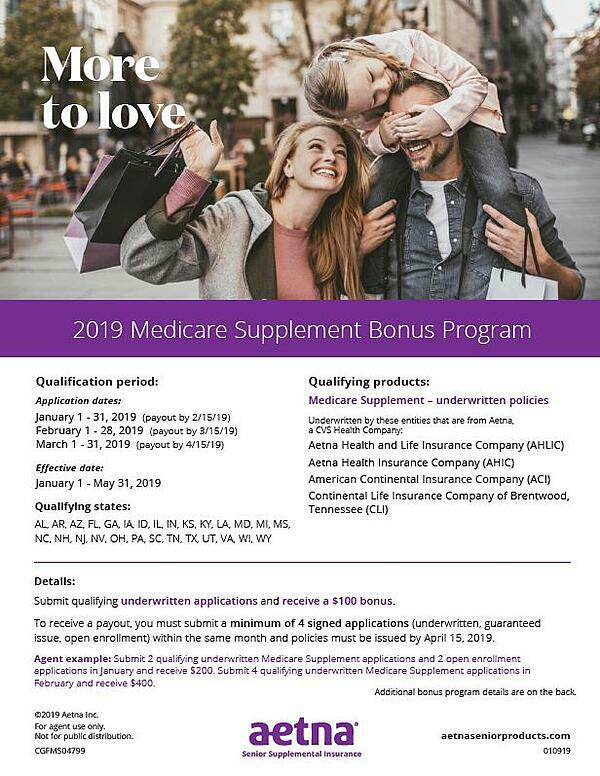 Great new Medicare Supplement premium rates through our subsidiary company, Great Southern Life Insurance Company (GSL). Beginning March 4, 2019 GSL Medicare Supplement will be available in these states: CO, FL, GA, IL, IN, IA, KS, MD, NC, PA, SC, SD, and TX. There will be additional state releases in June and August. Stay tuned for more information on upcoming releases. We look forward to sharing more information on the new Med Supp through Great Southern Life Insurance company as more details become available. stay tuned! Must have at least 65% underwritten business. Disability and Guaranteed Issue policies are excluded. Medicare Supplement production will be counted at 100% of paid annualized first-year premium. 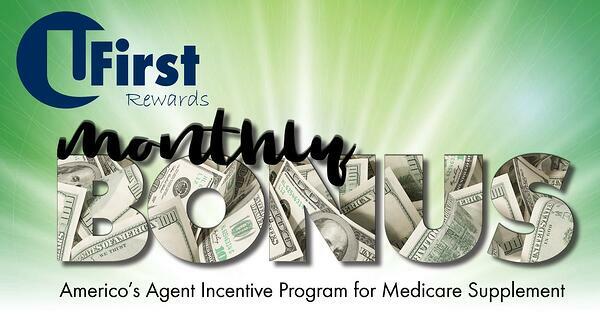 Monthly bonus payments will be made at the end of each month during the qualification period. Today, CMS’s Center for Medicare and Medicaid Innovation (“Innovation Center”), which tests innovative payment and service delivery models to lower costs and improve the quality of care, announced a new payment model and transformative updates to an existing model. The models are designed to enable Medicare Advantage and Part D plans, which are private plans that provide Medicare beneficiaries with medical and prescription drug coverage, to better serve patients and help them achieve good health. The model for Medicare Advantage plans is an update to the Medicare Advantage Value-Based Insurance Design or “VBID” model that CMS first launched in 2017. The model for Part D plans is called the Part D Payment Modernization model. These are both voluntary models to advance innovation – meaning certain Medicare Advantage and Part D plans can choose to participate, and patients can choose to enroll in participating plans. The models will be closely monitored, and if they clear certain thresholds for impact on quality, costs, and access to benefits, the models can be expanded in scope. The President’s Blueprint to Lower Drug Prices and Reduce Out-of-Pocket Costs called on HHS to increase competition, improve negotiation, create incentives for lower list prices, and reduce out-of-pocket costs. Through the Part D Payment Modernization model announced today, CMS is executing on the Blueprint. This model advances President Trump’s commitment to lower prescription drug prices, with Medicare beneficiaries, Part D plans, and CMS all benefiting from a more aligned system. The Part D Payment Modernization model announced today advances President Trump’s commitment to lower prescription drug prices. Currently in Part D, once a patient’s prescription drug spending is high enough for the patient to enter the final phase of the benefit, known as the “catastrophic phase,” Medicare is responsible for 80 percent of drug costs. This introduces perverse incentives and leaves plans with little reason to negotiate lower costs for the highest-spending patients. In fact, over the past 10 years (2008-2017), federal spending in the Part D catastrophic phase has nearly quadrupled from $9.4 billion to $37.4 billion, reflecting an average increase of 17 percent per year. 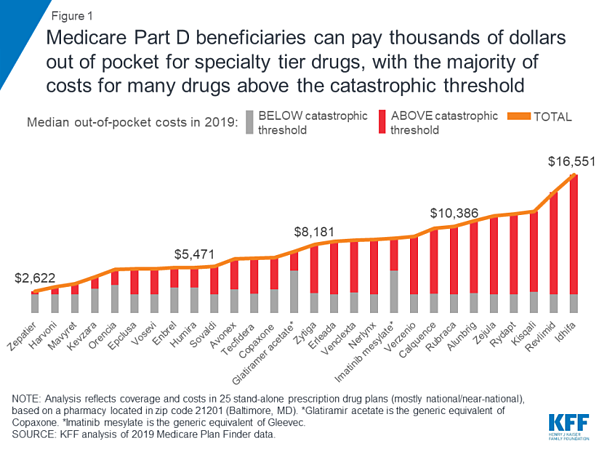 In 2016, 3.2 million beneficiaries reached the Part D catastrophic phase, and the beneficiaries in catastrophic who did not qualify for the low-income subsidy faced average annual out-of-pocket drug costs of over $3,000. This issue of plans having limited responsibility in the catastrophic phase, and the related lack of incentives plans have to focus on high list prices, was raised in the President’s FY 2019 budget, and it has been highlighted by MedPAC and by multiple other stakeholders in response to CMS RFIs. Under the new model, which takes effect for the 2020 plan year, participating plans will take on greater risk for spending in the catastrophic phase of Part D, creating new incentives for plans, patients, and providers to choose drugs with lower list prices. Based on plan year performance, CMS will calculate a spending target for what governmental spending would have been without plans taking on this additional risk. Participating Part D plans will share in savings if they stay below the target but will be accountable for losses if they exceed the target. For the first time, the model also introduces a Part D rewards and incentives program to align this model with the changes to VBID, and to provide Part D plans with additional tools to control drug costs and help enrollees in choosing drugs with lower list prices. Today, CMS is also issuing an evaluation report for the first year of the VBID model. Plans in only 7 states could participate in the model for the first year (2017). The report shows that participating plans began to leverage the new tools that were introduced right away, with 45 plans participating and offering more benefits to enrollees. Most 2017 Medicare Advantage data are not yet complete for a full impact analysis, but the agency is continuing to assess the model. Today’s update of VBID was informed by experience during the early years of the model. For fact sheets on today’s announcements, please visit https://cms.gov/newsroom/fact-sheets/value-based-insurance-design-model-vbid-fact-sheet-cy-2020 and https://cms.gov/newsroom/fact-sheets/part-d-payment-modernization-model-fact-sheet. 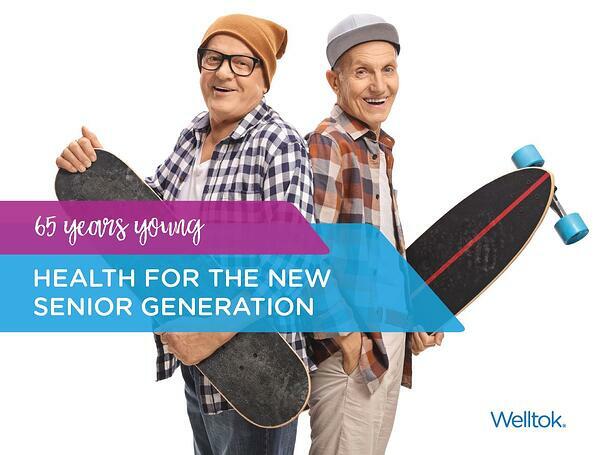 A new survey by Welltok, the leading consumer health SaaS company, validated that today's seniors are increasingly tech savvy, expect more from Medicare plans and are striving for total wellbeing. With over 60 million Americans projected to be covered by Medicare by 20201, it is critical for plans to understand and meet members' individual needs in a meaningful way to attract, retain and better manage this growing market. Why Seniors Would Switch Plans: Nearly six in 10 seniors said they would consider switching their current Medicare Advantage plan in the near future. Low out-of-pocket costs, prescription drug coverage and in-network access to providers were cited as primary factors that could influence a plan change. Seniors also say it is important for their insurance provider to offer programs and resources that address their total health and wellbeing. Yet, roughly half feel that their current plan is not offering relevant or personalized support. 65 is the new 45: Seniors want to stay healthy and active as they age – 88 percent say they feel healthier than their parents' generation and approximately four in five feel younger than their actual age. Seniors' New Definition of Health:To improve quality of life, seniors are adopting a new definition of health, which includes all aspects of health (physical, social, emotional and financial). They are most likely to say financial stability (94 percent), adequate sleep (91 percent), and positive relationships (90 percent) are most important for them to achieve and maintain. Managing stress, good nutrition and then maintaining an appropriate level of physical activity followed in importance. How to Reach Seniors: The way seniors communicate is changing and plans need to track and honor preferences to be successful. Email emerged as the top way that seniors want to communicate with their health plan, especially among Medicare Advantage members (52 percent), followed by phone (automated voice or live agent) and regular mail. There is also growing interest in connecting digitally, including text messaging. "Seniors are the fastest growing population, and health plans will lose if they treat them as a homogenous population," said April Gill, vice president health plan market solutions for Welltok. "We analyze all types of data to understand and target seniors to drive health actions, including gathering insights and preferences directly from consumers themselves. Our Medicare acquisition and retentions solutions are designed to deliver the personalized experience that seniors not only want but expect from their plans." Welltok is a data-driven, enterprise SaaS company that delivers the healthcare industry's leading consumer activation platform. Welltok's solutions empower leading health plans, employers, providers and public entities to connect consumers with personalized health improvement resources, making it easy and rewarding for consumers to complete actions that optimize their health and wellbeing. Only Welltok leverages a machine-learning, multi-channel approach proven to help innovative organizations power growth and retention initiatives, improve healthcare value, and streamline the consumer experience, while upholding the highest security and compliance standards. These are the findings from an Ipsos poll conducted October 31 – November 1, 2018 on behalf of Welltok. For the survey, a sample of 1,004 adults ages 65 and over from the continental U.S., Alaska and Hawaii was interviewed online, in English. In order to qualify for the survey, seniors had to be covered by Medicare. This includes 503 adults who currently have an original Medicare plan (Parts A/B through government) and 501 adults who have a Medicare Advantage Plan. The precision of Ipsos online polls is measured using a credibility interval. In this case, the poll has a credibility interval of ±3.5 percentage points for all respondents. 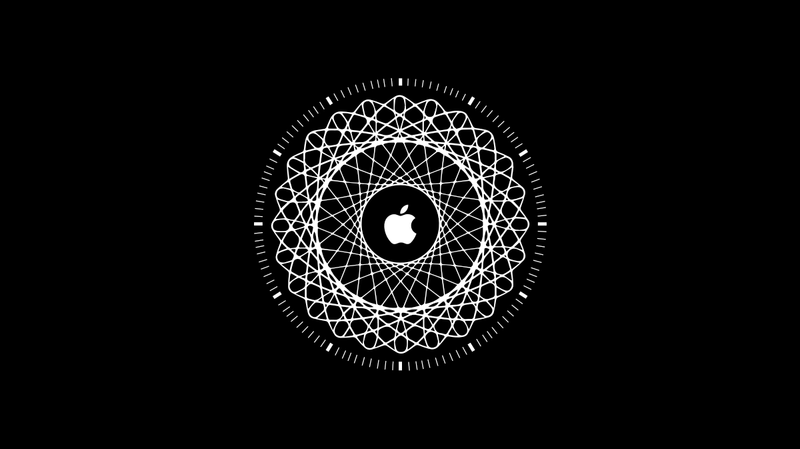 Apple is in talks with private Medicare plans about getting Apple Watches into the hands — or on the wrists — of millions of people over the age of 65. It makes a lot of sense for Apple to do that, health experts tell CNBC, since it could prevent pricey doctor or hospital visits. 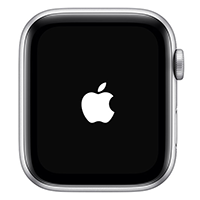 Apple has previously signed a deal with insurance giants Aetna and United Healthcare about subsidizing the cost of the watch. The insurers are exploring ways to subsidize the cost of the device for those who can't afford the $279 price tag, which is the starting cost of an older model. The latest version of the device, which includes the most extensive health features including fall detection and an electrocardiogram to measure the heart's rhythm, retails for a minimum of $399, which many seniors could benefit from but can't afford. "It's the segment of health insurance with the highest dollar revenue and margin per member," explains Augustin Ruta, a health insurance consultant at A2 Strategy Group. Ruta also noted that Medicare members enrolled in these private plans tend to have lower churn rates, which gives insurers more of an incentive to invest in members' long-term health outcomes. About 19 million seniors, and growing, are enrolled in a Medicare Advantage plan, which are private health plans that receive government payouts for providing services to seniors — about $10,000 per member, on average. Consulting firm PwC, the brand name for PricewaterhouseCoopers, expects the Medicare Advantage market to generate more than $350 billion in annual revenue by 2020, although the market is regulated to limit insurers' profits. Almost 22.4 million seniors and people with disabilities are enrolled in Medicare Advantage plans for 2019 — up 6.8% from the same point last year, according to preliminary federal data. 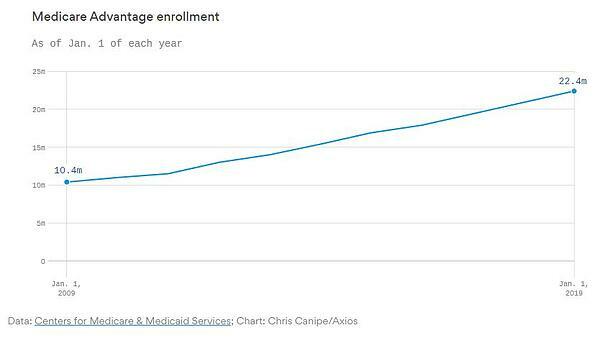 Why it matters: The growing enrollment total is in line with what the Trump administration expected and continues a decade-long trend of moving more of the traditional Medicare program into a privatized version run by health insurers. Winners: Most insurers are winners to some degree, considering MA is "a friendly environment" right now for the industry. And the biggest companies are getting even bigger. By the numbers: Together, three companies control more than half of the MA market. The big picture: The federal government is expected to pay MA insurers $250 billion this year. 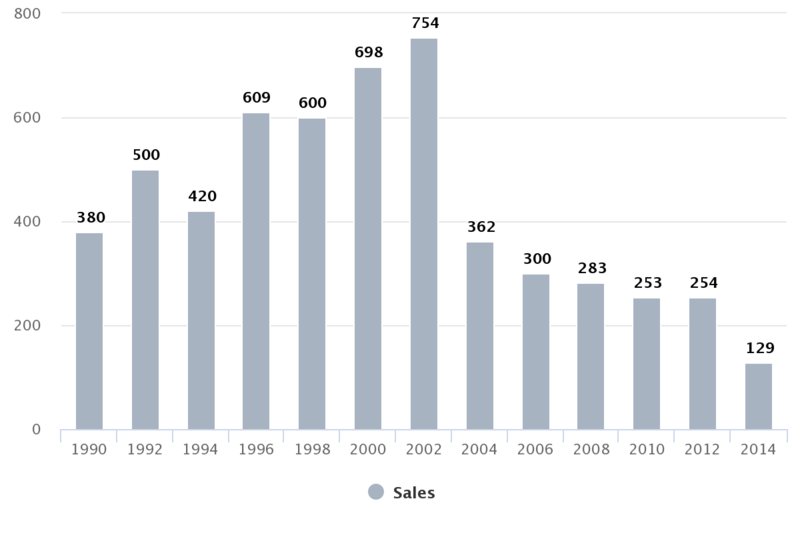 With profit margins hovering around 4% or higher for many companies, that equals billions of dollars of profit. Yes, but: Federal prosecutors and auditors are scrutinizing the coding practices of MA insurers and may be willing to claw back overpayments soon. Many enrollees also may be unaware of the program's shortcomings. What's next: February's enrollment data will provide an even clearer picture of how much the Medicare Advantage program grew for this year. Aetna: "Don't worry, Walmart is still an in-network pharmacy for 2019 MAPD and PDP products"
There’s no impact to our Medicare pharmacy network. 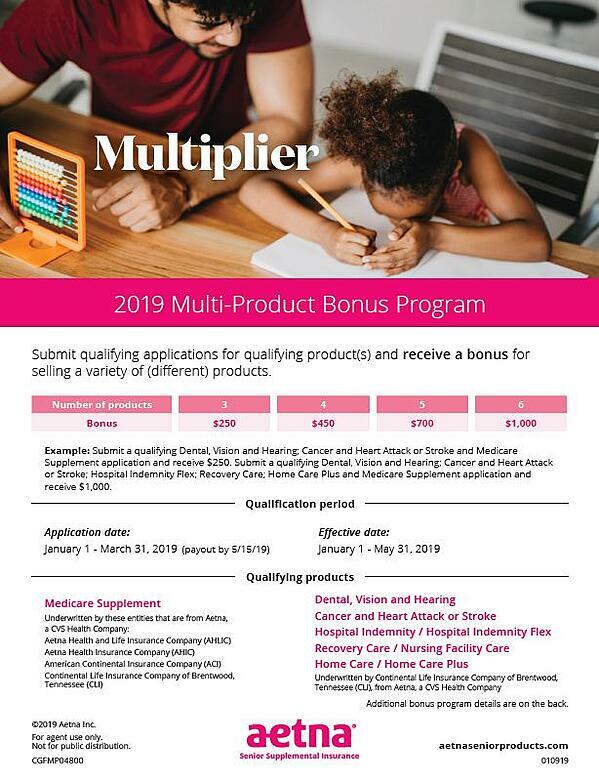 Walmart continues to participate in the pharmacy network for our Medicare Advantage plans (MAPD), Prescription Drug Plans (PDP), Dual-eligible Special Needs Plans (DSNP) and Employer Group plans. Walmart continues to be a preferred pharmacy for any Medicare Advantage plans that offer a preferred pharmacy network, as well as for Aetna Medicare Rx Saver (PDP) and Aetna Medicare Value Plus (PDP) plans. Walmart will remain an in-network, non-preferred pharmacy for the Aetna Medicare Rx Select (PDP) plan. Aetna Medicare members can continue to receive their medicines at Walmart or at any of our 65,000+ network pharmacies nationwide. If members have any questions, they can call Member Services using the number on their member ID card. Walmart will leave CVS Health’s network that administers drug benefits for millions of Americans, in a dispute over costs that could roil the business of filling prescriptions. Walmart is a major pharmacy operator as well, and dispenses drugs in most of its almost 5,000 locations. 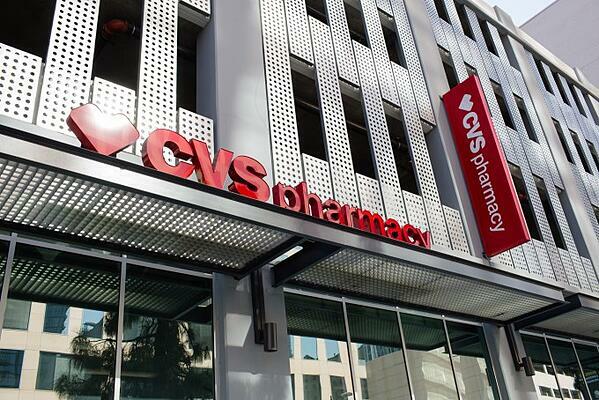 It has also flirted with getting more involved in the healthcare industry, looking at offering wellness services and other offerings that will become a key part of CVS’s business with its takeover of health insurer Aetna last year. The partial government shutdown (day 24) is not affecting Medicare, but other health-related services are feeling the pinch. January 11, 2019 - The partial government shutdown will have no impact on Medicare and Medicaid at the federal level, CMS has stressed to industry observers. The nation’s public payers will continue to operate as normal, since funding for CMS is assured until at least September 30, 2019. 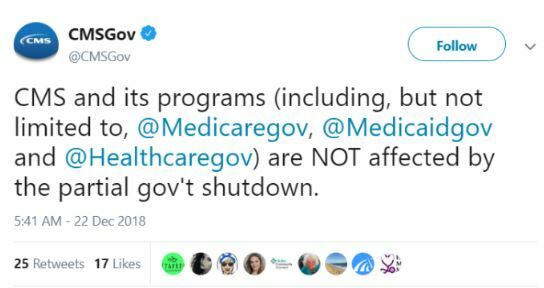 “CMS and its programs (including, but not limited to, @Medicaregov, @Medicaidgov and @Healthcaregov) are NOT affected by the partial gov't shutdown,” CMS stated on Twitter after the partial shutdown began in late December. 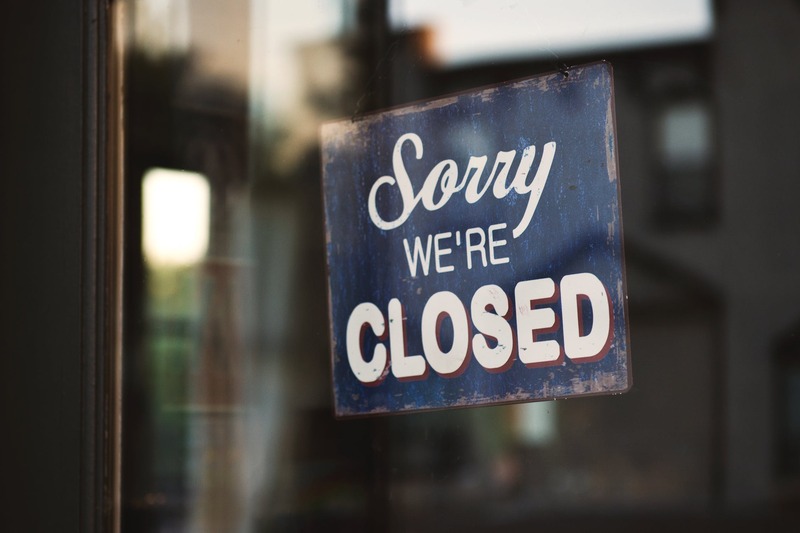 Federal workers in departments without funding are also assured of health insurance coverage during for the duration of the shutdown, the Office of Personnel Management (OPM) stated in an FAQ. Beneficiaries will not have the option to terminate or cancel their coverage, OPM added. New enrollments or changes in enrollment status will not take effect until the employee has reentered paid status. When working with your clients, it’s important you educate them about the dental benefit on any plans they’re considering. There are several different types of dental benefits you may encounter on our plans. The chart below outlines the three main types of dental coverage offered with our 2019 Medicare Advantage plans (MA/MAPD). While not all plans have a dental benefit (view a list of plans that don’t offer dental), when they do, the dental benefit fits into one of the buckets below. Included in the plan; members don’t have to enroll separately to get dental coverage. With HMO plans, members must use a dental network. With PPO plans, members can use out-of-network dentists at higher costs. You can find a network dentist online. Requires members to pay upfront and submit a receipt for reimbursement. Can be used for preventive and comprehensive services (i.e., all ADA codes, including dentures & implants). Members can see any licensed dental provider (no network). In certain states (CT, MA, ME, NH and RI), some allowances may have a co-insurance amount. For example, if the co-insurance is 50%, the member is reimbursed for 50% of their costs, up to their benefit maximum. Allowance amounts do not rollover each year. Get a receipt or proof of payment from the doctor along with a description of the dental services provided. Include the members’ printed name and member ID # on the receipt. Submit the receipt to us at the claims address on the ID card (a claim form can be found online at the website on the ID card). We’ll reimburse up to the benefit amount. Must be purchased separately for an additional premium. Members must enroll in an OSB when they enroll in their plan, or within 30 days of plan start date (or during another valid election period). Requires member to use a dental network. Those with the DMO network need to choose and visit a primary care dentist for us to cover their care. PPO members can use out-of-network dentists at higher costs. 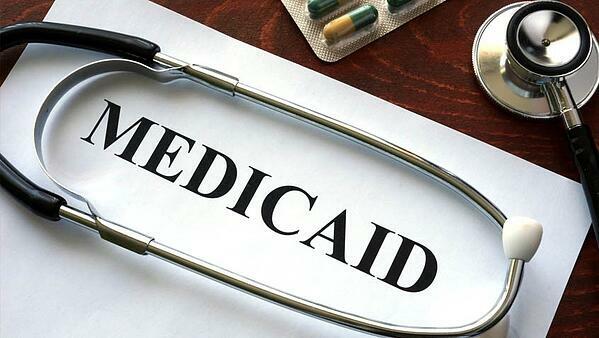 As 2019 gets underway, the Medicaid program continues to be in the spotlight. This week, the Kaiser Family Foundation (KFF) released an issue brief that highlights some of the major program changes that states, the Administration, and Congress may pursue in 2019. Over 66 million people receive their health coverage through Medicaid, including older adults, people with disabilities, children, low-income parents, and other adults. Any changes to the program, therefore, have the potential to affect millions of families. In November, the Centers for Medicare & Medicaid Services proposed regulatory changes to the Affordable Care Act’s Health Insurance Marketplaces. We submitted comments this week, in which we raise concerns with several aspects of the proposed rule that could have negative implications for people with Medicare. CMS indicates it is proposing this rule in part to ensure that people are in the "most appropriate type of coverage.” While Medicare Rights supports this goal, we disagree with the agency’s proposal to achieve it by automatically terminating Marketplace coverage for people who are eligible for or enrolled in Medicare Part A. Fresh from the completion of the Express Scripts acquisition, Cigna CEO David Cordani plans to broaden the insurer’s offerings to more seniors choosing Medicare Advantage plans as part of a major business expansion in coming years. 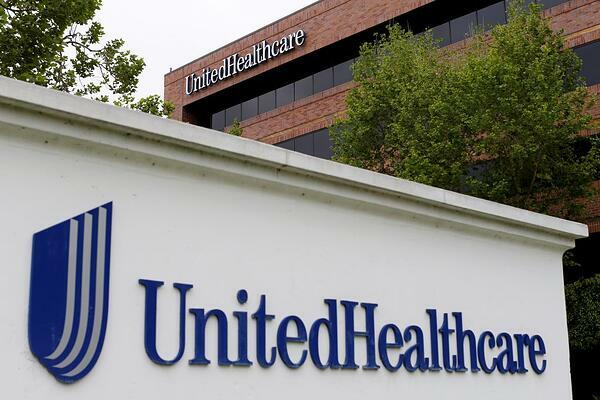 Cigna’s disclosure this week at the JPMorgan Healthcare Conference comes as the insurer and its rivals including Aetna, Anthem, Humana and UnitedHealth Group are expanding into new geographic regions to sell more Medicare Advantage products. All of these insurers are taking advantage of a market of more than 10,000 baby boomers aging into the Medicare population every day. Cigna has more than 435,000 Medicare Advantage enrollees, which is far fewer than UnitedHealth, Aetna and Humana. But Cigna and an increasing number of other insurers see a bigger opportunity as the Centers for Medicare & Medicaid Services changes rules allowing health plans to provide richer benefit packages to attract more seniors to Medicare Advantage plans. Cigna is also looking to offer new less restrictive health plans that allow seniors more choices outside of health plan networks by introducing preferred provider organization (PPO) plans for Medicare Advantage enrollees. Unlike PPOs, HMOs restrict doctor choices to their networks. Cordani didn’t disclose a timetable for the PPO offerings. Medicare Advantage plans contract with the federal government to provide extra benefits and services to seniors, such as disease management and nurse help hotlines with some even providing vision and dental care and wellness programs. There are now more than 22 million Americans enrolled in privately-administered Medicare Advantage plans for 2019 with the number expected to continue to rise. Medicare Advantage enrollment will rise to 38 million, or 50% market penetration by the end of 2025, according to a report from L.E.K. Consulting. Cigna also sees an opportunity as Medicare moves to value-based payment models and away from traditional fee-for-service reimbursement that has been shown to lead to unnecessary tests and procedures due to its emphasis on volume of care delivered. Cordani said 85% of Cigna's Medicare Advantage “customers are in aligned value-based relationships.” “Those are very important in terms of how our model works: hand in glove with high-performing physician organizations and integrated hospital systems for the benefit of our M.A. customers,” Cordani said. 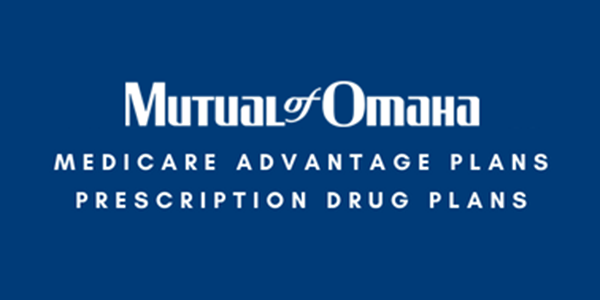 The following is information regarding the payment of compensation for Mutual CareAdvantage (HMO) (MA) and Mutual of Omaha Rx (PDP) sales. Compensation Schedules – can be found on Sales Professional Access (SPA), click on the Profile icon in the upper righthand corner. Choose Communications and filter on company – Mutual of Omaha Medicare Advantage Company and access your contract packet which includes your compensation schedule. Compensation Statements - can be found on the Medicare Advantage producer portal by clicking on the ‘Commission’ icon. A link to the portal is found on the Medicare Advantage product page on Sales Professional Access (SPA) mutualofomaha.com/broker. Click for details regarding MA compensation. Compensation Schedules – Can be found on Sales Professional Access (SPA), click on the Profile icon in the upper right hand corner. Choose Communications and filter on company – Omaha Health Insurance Company and access your contract packet which includes your compensation schedule. Compensation Statements - can be found on Sales Professional Access (SPA) under Reports beginning in April. 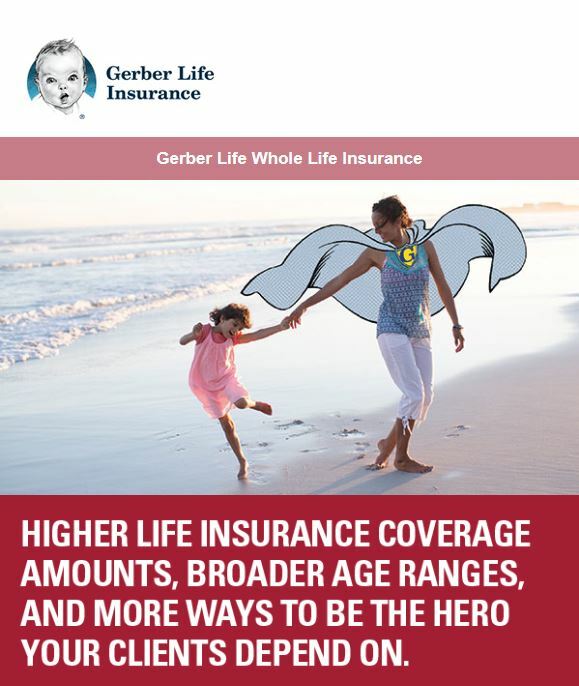 Introducing Gerber Life’s Whole Life Insurance Plan. Our new policy makes it easier for adults to protect their families by enabling them to put affordable coverage in place that lasts a lifetime. WHAT BENEFITS DOES A GERBER LIFE WHOLE LIFE INSURANCE PLAN OFFER TO YOUR CLIENTS? WHY SHOULD YOU AND YOUR CLIENTS CONSIDER GERBER LIFE’S WHOLE LIFE INSURANCE PLAN? You’ll like it because it’s easy for you to sell and easy for clients to buy. Plus, you will receive renewal commissions in years 2–5. Contact your General Agent for more information about compensation. Your clients will like it because the application process is quick and easy, and the Plan is fully guaranteed1 and easy for them to understand. Our new marketing materials are accessible through Gerber Life’s Agent Portal, including a new Whole Life consumer brochure, a handy agent reference guide and a sales tip flyer for agents. You can also download the materials below. Whole Life Consumer Brochure, click here. Whole Life Agent Reference Guide, click here. Whole Life Agent Sales Tip Flyer, click here. The LIS/Dual SEP may not be used during the fourth quarter of the year (October - December). The effective date of the enrollment into the new plan will be the first of the month following the receipt of an enrollment request. Per CMS guidelines, the SEP is considered "used" based on the month in which the election was made. Using their example, if an election is made in March with an April effective, the first quarter use of the SEP would be considered "used" not the second quarter. An SEP for Individuals who gain, lose or have a change in their Dual or LIS eligibility, have a one time opportunity to make an election within three months of the change or notification of the change, whichever is later. Recently passed legislation referred to as MACRA (Medicare Access and CHIP Reauthorization Act of 2015 ) will, among other things, affect the Medicare Supplement industry in calendar year 2020. Specifically, the Part B deductible can’t be covered. Therefore, Plan F will no longer be an option for individuals newly eligible for Medicare starting January 1, 2020. However, in-force policyholders will be able to keep their current versions of Plan F and individuals eligible for Medicare prior to January 1, 2020 (i.e., not “newly eligible”), can purchase the current version of Plan F on or after January 1, 2020. 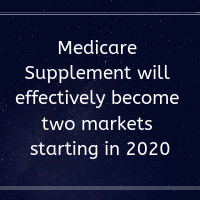 What we now consider one market for Medicare Supplement will effectively become two markets starting in 2020. We will call them Newly Eligible (NE) and Non Newly Eligible (NNE). This is terminology from the regulatory language that specifies eligibility to purchase Plan F (or Plan C). The NE market will consist of individuals who reach the age of 65 on January 1, 2020, and later. 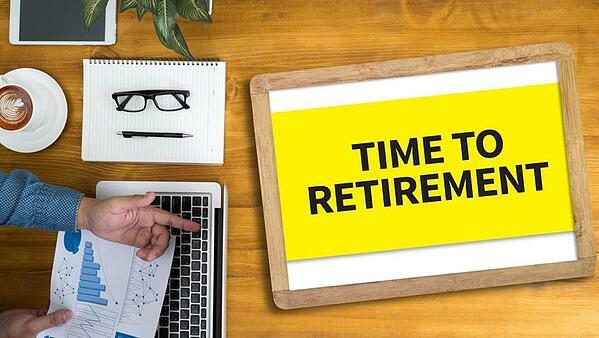 Over time, this market will have an increasing maximum age and a minimum age of 65. The NNE market will consist of individuals who reach the age of 65 before January 1, 2020, and an increasing minimum age but no maximum age. Questions / comments? We would love to hear your thoughts and how these changes might impact your current business. After two years of defending the Affordable Care Act from Republican appeal attempts, Democrats could go on the offensive with popular ideas they’ve had to keep on the shelf while out of power like lowering the eligibility age for Medicare. One of those ideas is the so-called ”Medicare at 55 Act,” which gives Americans between the ages of 55 and 64 an option to buy into Medicare, the federal health insurance program for the elderly. It’s one of the healthcare issues Democrats have talked about in recent years, but it hasn’t gotten nearly the attention as their recent 2018 mid-term election campaign to save the ACA and its protections for patients with pre-existing medical conditions. But “Medicare at 55" could get a serious airing in the U.S. House of Representatives where Democrats will be in control effective this week and in the Senate where key supporters just won re-election to new terms. In its Q3 report to shareholders, Genworth Life Insurance Co. – recording a loss of $34 million from long-term insurance – said it has approval from state agencies for average rate increases of 53%. About 100 companies across America sold stand-alone LTC insurance in 2002, according to the National Association of Insurance Commissioners: today there are 17. The problems hit from many sides, including years of low interest rates that cratered insurance companies’ investment earnings and overly optimistic assumptions factored into calculations about the cost of long-term care. Your other life awaits in Monaco. Your other life, in another world, in Monaco, June 7–11, 2020. You’ll live just steps from the famed Monte Carlo Casino. From there you can stroll west to explore the Musee oceanagraphique. Or feel the cool breeze off the Mediterranean in Port Hercule. The world’s elite salespeople like yourself will be catered to at Cigna Supplemental Benefits (CSB) 2020 Incentive Trip. Your other life is waiting – in Monaco. Monaco is just two square miles in size with so much to do and so little effort to experience it all. All recruiting agencies with a minimum of $2,000,000 in production credits will be able to bring one qualifier and a guest. All agents with a minimum of $250,000 in production credits will be able to bring one qualifier and a guest. Not appointed with Cigna Supplemental? Request details here or call us at 800-998-7715 to ask for an online contracting link. All Cigna products and services are provided exclusively by or through operating subsidiaries of Cigna Corporation, including American Retirement Life Insurance Company, Cigna Health and Life Insurance Company and Loyal American Life Insurance Company. The Cigna name, logo, and other Cigna marks are owned by Cigna Intellectual Property, Inc. All pictures are used for illustrative purposes only. 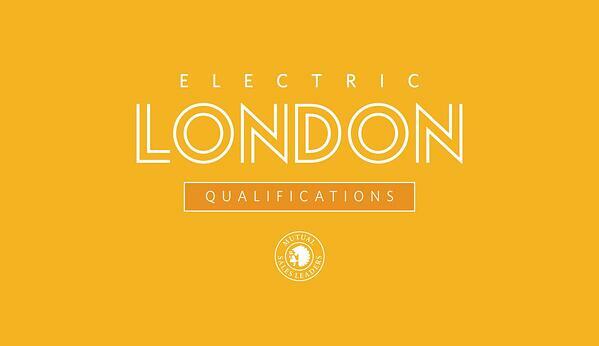 How can you experience the electricity of London? Place qualifying business with Mutual of Omaha during 2019 and become a Mutual Sales Leader — and join us for a brilliant time in England. Not appointed with Mutual of Omaha? Medicare Advantage (MA) is improving quality for seniors. And while quality goes up, costs continue to go down for taxpayers. This was further demonstrated last week, when the Medicare Payment Advisory Commission (MedPAC) announced average payments to MA plans remain equivalent to fee-for-service (also called “traditional”) Medicare costs. Since the passage of the Affordable Care Act, MA plans have consistently covered the basic Medicare benefit for less than what those benefits cost traditional Medicare. MA plan costs have fallen nearly every year, and in 2019 the average MA plan bid is 11 percent below local costs for traditional Medicare. This is good news, because it means MA plans continue to drive down costs while delivering high-quality care. While the Medicare program now spends the same amount on average for MA as it does for traditional Medicare, MA plans offer much more than traditional Medicare, such as additional benefits, out-of-pocket spending caps, and prescription drug coverage for no additional premiums. Seniors see – and like – the difference. MA enrollment has increased by nearly 80 percent since 2010, as plans have consistently demonstrated their ability to deliver value. In 2019, 90 percent of Medicare beneficiaries will have access to an MA plan with drug benefits offered at no additional premium. Enrollee satisfaction is very high, with 90 percent of MA members reporting satisfaction with their health care coverage and their preventive services, and 84 percent satisfied with their prescription drug coverage. Recent research has found that MA beneficiaries spend less time in rehabilitation after leaving the hospital, return home faster and are less likely to be readmitted. In addition, previous research shows MA brings cost-effective improvements to the rest of the health care system and has a diminishing effect on traditional Medicare spending. The goal of payment parity between MA and traditional Medicare sought by MedPAC has now been sustained for several years. And evidence is growing that due to the spillover effect, the more people who enroll in MA in certain areas, the slower costs grow in traditional Medicare overall. Starting in 2019, CMS restores the Medicare Advantage (MA) Open Enrollment Period (OEP). The MA OEP will take place from January 1 through March 31 each year. The OEP allows individuals enrolled in an MA plan, including newly MA-eligible individuals, to make a one-time election to switch to another MA plan (with or without Part D coverage) or to return to Original Medicare (with or without Part D coverage). January 1 through March 31 each year. For newly MA-eligible individuals, the OEP occurs the first 3 months in which they have both Part A and Part B. When do MA OEP plan elections take effect? The effective date for an MA OEP election is the first of the month following receipt of the enrollment request. Who can use the MA OEP? Individuals enrolled in an MAPD plan or an MA-only plan. What changes can be made during the MA OEP? • Individuals enrolled in an MAPD plan can use the OEP to get a different MAPD plan, an MA-only plan, or Original Medicare (with or without a PDP). • Individuals enrolled in an MA-only plan can use the OEP to switch to a different MA-only plan, an MAPD plan, or Original Medicare (with or without a PDP). What types of changes are not allowed during the OEP? Individuals enrolled in Original Medicare cannot use the OEP to join an MA or MAPD plan, add a PDP, or change their PDP. In addition, the OEP is not available to those enrolled in Medicare Savings Accounts or other Medicare health plan types (such as cost plans or PACE). How many plan elections can be made during OEP? Only one. CMS guidance states that plan sponsors and producers can’t knowingly target or send unsolicited marketing materials to any MA or MAPD enrollee during the continuous OEP. “Knowingly” takes into account the intended recipient as well as the content of the message. For details, be sure to review section 40.7 of CMS’ 2019 Medicare Communications and Marketing Guidelines. Please note that the lists above are not an exhaustive listing of prohibited and compliant OEP marketing activities. For more OEP information, please reference “Chapter 2 — Medicare Advantage Enrollment and Disenrollment” in the Medicare Managed Care Manual. If you have any questions or need assistance in getting appointed with our leading Medicare Advantage and Part D companies, call us today and one of our knowledgeable marketers would be happy to assist. Review the full legislation here.